A research team recently convened for the first-ever University of Southern California Interdisciplinary Research Week. These scholars outlined a collaborative project centered on using the Visual History Archive in exploration of perspectives of Holocaust survivors in Latin America. Inspired by this work, we share some highlights from their presentation and briefly explore cultural and political tensions for Jewish populations in Latin America, as well as how this history is bubbling back up in recent news with the discovery of Nazi objects hidden in Buenos Aires. 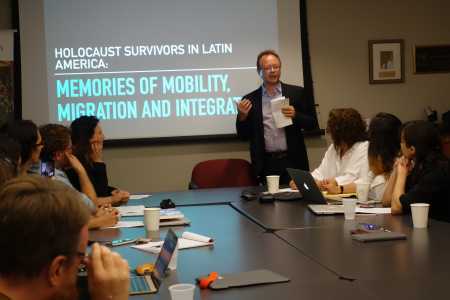 In August, a group of interdisciplinary scholars from Latin America gathered at the USC’s Shoah Foundation Center for Advanced Genocide Research to discuss an innovative project involving testimonies from the Visual History Archive (VHA). Hailing from a diversity of overlapping disciplines and specialties – including history, philosophy, literature, visual arts and memory studies – these seven scholars outlined the importance of studying testimonies from Holocaust survivors for insights into Jewish populations arriving in Latin America before, during and after World War II. Latin America was a significant destination for Jewish immigrants, but the individual experiences of Jews in Argentina, Chile, Colombia and Mexico have largely been ignored in the historiography of the Holocaust. However, the VHA testimonies are enabling this research team to comparatively examine the individual experiences and narratives of Holocaust survivors in these countries. What were the survivors’ experiences related to mobility, migration and integration? What meanings do survivors render to their experiences? How do national and cultural contexts appear in survivors’ narratives? Out of these questions, the researchers shared several main themes to emerge from their analysis of the testimonies so far, directing the future of their collaborative effort: places of origin, trajectories, migration processes and reasons for migration; aid networks; conditions of place of destination (including weather, food, politics, anti-Semitism and xenophobia); first impressions and encounters (neighbors, schools, work, communities); otherness and identity; citizenship and belonging. For a sense of historical context around this new research project, we briefly explored the cultural climate in Latin America with the arrival of Holocaust survivors. Stavans adds that “even in territories where Jews were not actively persecuted, the xenophobia against those who are not genealogically Roman Catholic is still ubiquitous,” and describes how in his youth in Mexico, Jewish members of the community were treated with suspicion. The best known of these high-ranking Nazi officials who escaped into Latin America included Auschwitz physician Josef Mengele, known as “The Angel of Death;” Klaus Barbie, nicknamed the “Butcher of Lyon” as he personally tortured French prisoners of the Gestapo; and Hitler's "technician of death,” Adolf Eichmann, one of the major organizers of the Holocaust, who resided in Buenos Aires under the name Ricardo Klement until his capture by Israeli agents in 1960. In July 2017, the Argentine Foreign Ministry delivered to the United States Holocaust Memorial Museum in Washington nearly 40,000 documents about World War II, some of them related to Nazi war criminals. The Times of Israel reported that these documents include letters, telegrams, newspaper articles, notes and reports produced by Argentina’s Ministry of Foreign Affairs between 1939 and 1950. The article also mentions the recent discovery of a trove of Nazi objects discovered earlier in the month by Argentine Federal Police. According to the New York Post, these pieces – 75 in all, including a bas-relief of Adolf Hitler, a medical device used to measure heads and magnifying glass cases emblazoned with swastikas – were found in a hidden room at an art collector’s house outside Buenos Aires. An investigation to determine origin of these objects is currently underway. Nouwen, M. L. (2013). Oy, my buenos aires: jewish immigrants and the creation of argentine national identity. Klich, I., & Lesser, J. (Eds.). (1998). Arab and jewish immigrants in latin america: images and realities. Brodsky, A., & Rein, R. (Eds.). (2014). The new jewish argentina: facets of jewish experiences in the southern cone. Gleizer, D. (2013). Unwelcome exiles: mexico and the jewish refugees from nazism, 1933-1945. Agosín, M. (Ed.). (2005). 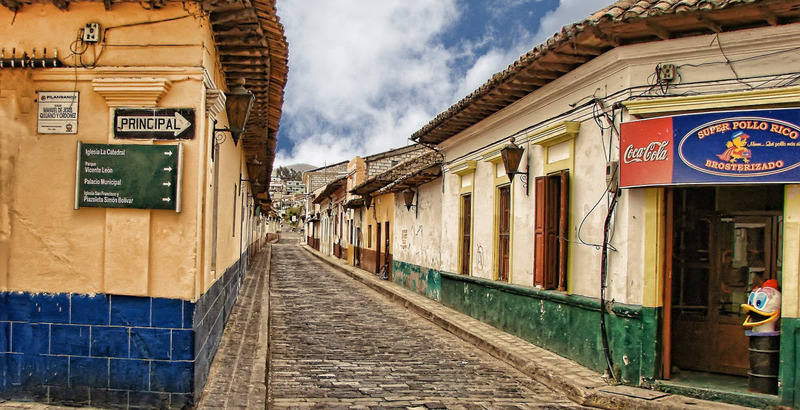 Memory, oblivion, and jewish culture in latin america. Stavans, I. (Ed.). (2016). Oy, caramba! 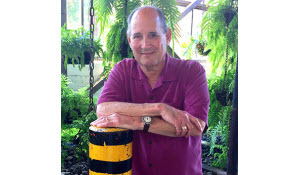 : an anthology of jewish stories from latin america. Jewish immigration exploded in the early 20th century as two million Eastern European Jews fled their homeland into the United States in search of labor. As Jews helped transform American culture, so too, America transformed Jewish thought and reformed their religious practice. Each of the Historical Newspapers: American Jewish Newspapers enables researchers to investigate the rise of Zionism and the formation of U.S. policies toward the state of Israel, complemented by Historical Newspaper titles, including The Guardian and the Jerusalem Post. A gathering of 100,000 pages of the most important works and primary sources for the study of Judaism, including voices from regions around the world. These include works related to post-Holocaust studies by Emil Ludwig Fackenheim (To Mend the World: Foundations of Post-Holocaust Jewish Thought and The Jewish Bible After the Holocaust: A Re-reading), Berel Lang (Post-Holocaust: Interpretation, Misinterpretation, and the Claims of History), Zachary Braiteman ([God] After Auschwitz: Tradition and Change in Post-Holocaust Jewish Thought). Argentina delivers thousands of WWII-era documents to US holocaust museum. (2017, Jul 30). The Times of Israel. Norman, L. (2001, Mar 04). Argentina, once nazi haven, faces up to holocaust; elderly jewish survivors tell students about wartime lives. The Washington Post. Moore, M. (2017, Jun 21). Nazi cache in argentina. New York Post. Stavans, I. (2001). The impact of the holocaust in latin america. The Chronicle of Higher Education, 47(37), B7-B10. Stroud, Martha. (2017, September 5). 2017 Interdisciplinary Research Week Lecture Summary.